Sessions of 10-15 minutes will give you the joy of practice and develop your skills. The session includes instructions-advices from our coaches and from beginners through advanced riders. 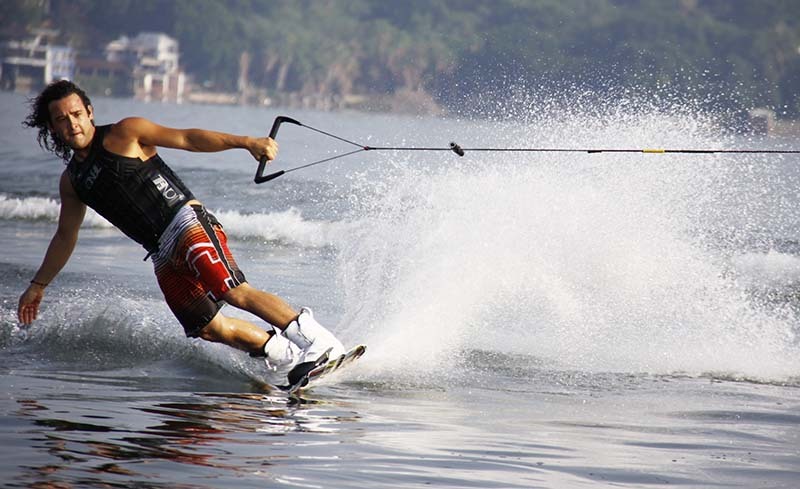 Learn how to slalom correctly through the wakes on the skis or the secrets of the tricks and jumps on the wakeboard. We provide all the best equipment in any size and professional tow boats (ski nautiques), for the best results. Experienced qualified coaches will teach you the secrets of sliding on the water. 30 minute lesson includes land instructions and water practice next to the boat on the training boom. Our target is, within 1 or 2 lessons, to be able to get behind the boat on the rope in a correct position and technique. 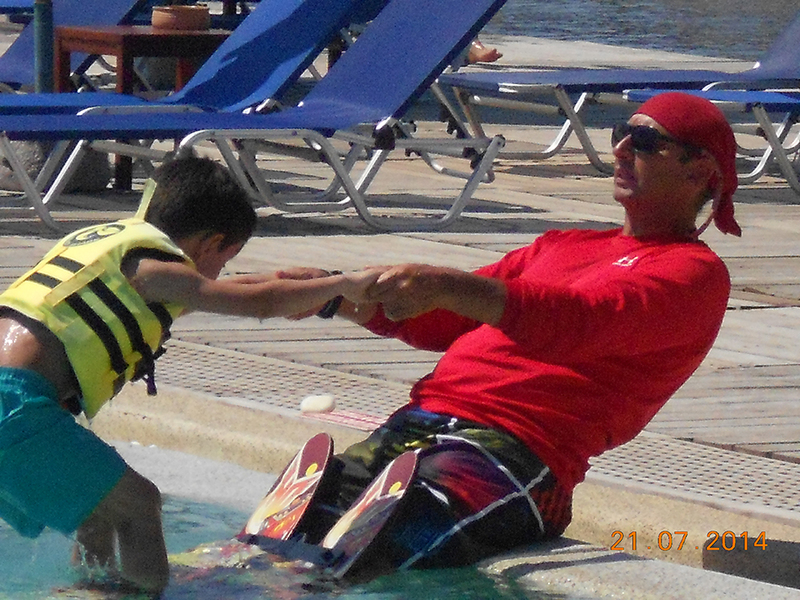 For children (5-7 years) we give pool lessons for positioning and starting before we jump on the training boom and waterski/wakeboard with the coach in the water next to the child. The Lagonissi peninsula is ideal for a SUP ride for anyone. Enjoy the sun and blue sea on the board or race your teammate. For the beginners we give lessons and instructions to improve your technique and get the best results for body workout. Ten different size boards, for any body weight and age, with adjustable paddles, will give you the results you desire. The best water game is ready for you to ride in our spots. Fly like a superhero and jump like a dolphin in and out of the water. We give 30 min lessons and is guaranteed that you will fly above water. 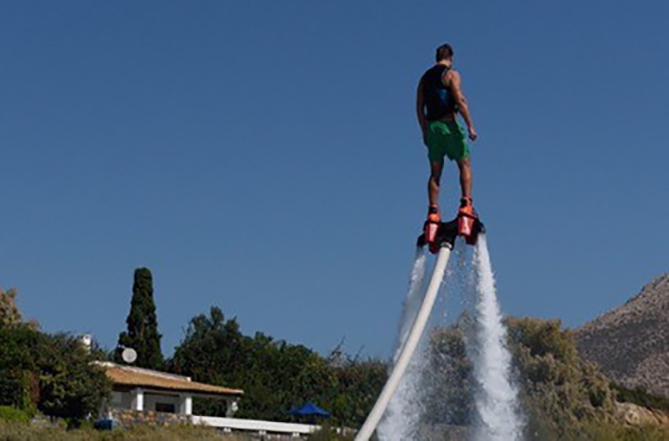 If you are experienced, the 20 min session is more than enough to have fun 10 meters above the sea. Lesson start from the age of 13. We provide all the safety equipment needed. Experience the freedom and the speed on the water with the Jet Ski or wave runner. 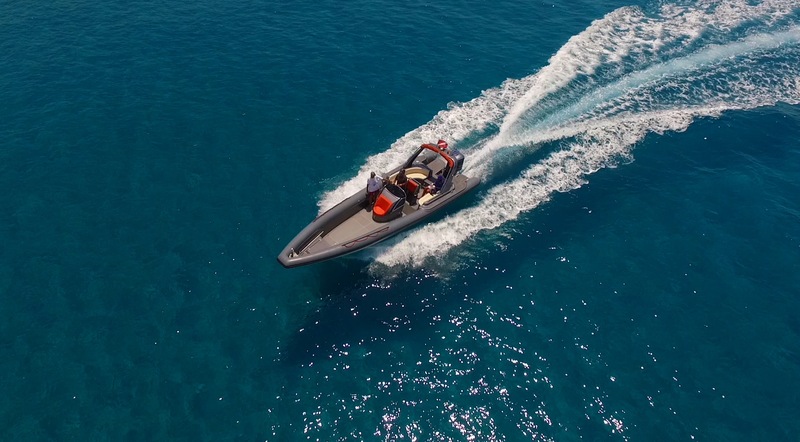 Four stroke engines 110HP gives you the ultimate adrenaline and fun around the islands of Grand Resort Lagonissi. Parents can ride safely with their children giving them the best time on the sea. We provide any size of life jacket for any age. Sofas, Sliders, Rings, Banana, are ready to give you a ride you never forget. Relaxed for families, fast or even extreme rides for you and your friends, in an always safe environment, for your daily fun water experience. Jump, spin out and laugh or even scream. We are here to give you the joy and adrenaline you want. From 2 to 6 riders providing any size of lifejacket needed. For the sailing lovers or for new life adventures we organize sailing trips for full (8 hours) or half day (5 hours). Unforgettable memories and experiences in the blue Saronic Gulf. Sail around beautiful islands, jump and swim in the crystal clear blue Greek waters and enjoy the sun and the sea breeze. If you have no experience, learn the sailing basics from the skipper. 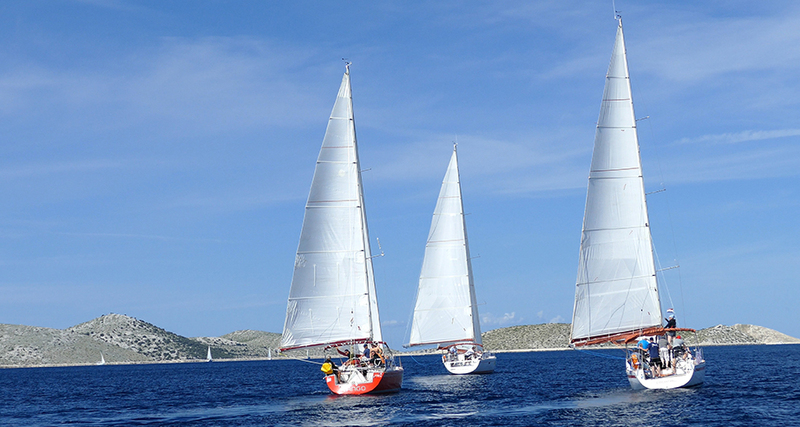 If you are experienced sailors, discover the famous Aegean “Meltemi” wind in July and August. Visit the Poseidon Temple at cape Sounio (2500BC) by boat. Drive the distance of 12 miles along the coast, stop and explore the cave of Island Arsida and take photos of the Temple from the sea. If you want you can visit the Temple by a 10 min walk from the shore. On your return, a swim in the amazing blue green waters of Legrena Bay must not be missed. Visit the beautiful island of Aigina. Drive the distance of 26 miles in open sea and stop to Perdika village. Have your lunch in a traditional fish tavern by the small port and enjoy a swim in the crystal clear blue waters of Moni island or Aggistri Island. If you have time visit the port of Aigina, in Chora the Capital town of the Island.